This one was produced on Sept 26, 1968 and sent to Creative Industries at the time where the ‘flush mounted grilles, special trim mountings and a rear window and trunk lid shortened for better aerodynamics.’ The car has a replacement engine block but the original one comes with the auction. Presumably, everything else is original on the car. Clearly the results of a meticulous restoration, this 500 has been in two Concours d’Elegance shows being ribboned and trophied both times. This kind of speaks for itself in the level of quality this 500 has been taken to. 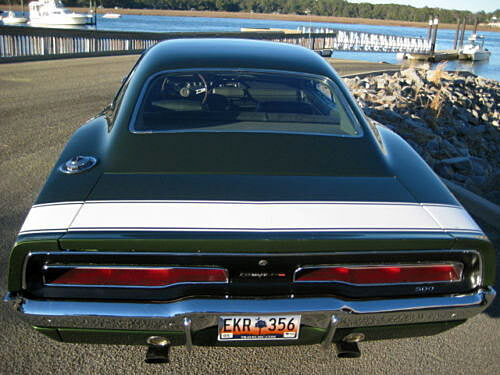 Personally, the Charger 500 isn’t as cool looking at the front-end as a regular ’69 Charger with its split sunk in grille, but flush mounted grilles were the order of the day for aerodynamic purposes. 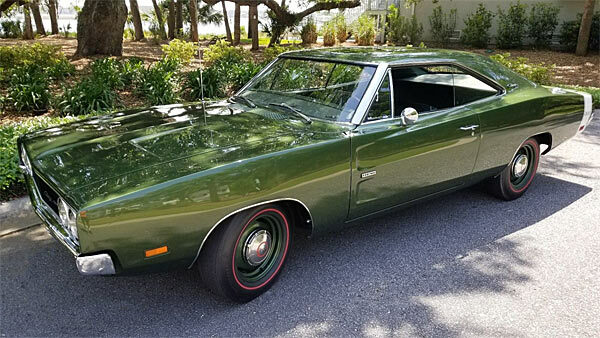 This Charger is clearly a rare classic and not just in fine condition, but also part of NASCAR history and the racing breed of muscle cars at the time. At a current bid of $82k, this one could easily hit mid $90K or maybe even higher.